The Aston Martin, of course, is favored by the suave spy who demanded his martinis shaken not stirred, and always fell into the company of exotic, often dangerous women. In a move to distance itself from the high ether prices of Lamborghini and Ferrari and go head-to-head with the likes of Porsche 911s and Audi R8s, mostly by significant boosts in horsepower and torque, up to 420 and 347 respectively, Aston Martin has priced the new Vantage in the “affordableâ€ range of high performance, world class cars running from around $120,000 to $137,000. And in a move more common these days, options are not myriad. This is a single model that can be had with hardtop or convertible top, a manual or automatic transmission and $4,000 sport packages that focus mainly on shifting and suspension. And yet, uncomplicated as this may seem, you should not buy one version without trying the other, as each of those few decisions can radically transform this Aston Martin. First, its beautiful design will likely need only minor tweaks (think of the Porsche ethos) throughout time. We like the upgrade in power; the 4.7-liter engine in both models produces 420 horsepower (up by about 40 romping ponies) and a 15 percent hike in reach-down-deep torque band. And the burbling exhaust note gets more basso as the rpms climb, which we like a lot. The Sport trim excels on the track and on incredibly smooth roads, but on normal surfaces you’ll be feeling every accent of every road from bridge expansion joints to simple undulations of pavement. It’s too bad there is not comfort/sport selection with the Sport Suspension package. The regular suspension was noticeably softer on the twists and climbs over hills and through valleys in Marin County in California. Where the kickback of road with the sport suspension could be felt in the wheel and the seat of the pants, the regular suspension had a stable yet softer sense. There was, of course, a bit more body roll in the softer setup, but our suspicion is that folks who want the more gentle ride will not be pushing the car hard often, thus body roll becomes a moot issue. Other than the suspension feedback to the wheel, steering in each model was concise, with higher speeds in particular requiring little work of the wheel and, even when pushed intentionally to a bad line on a corner, was a gentle fix, not a rapid sawing affair. The increase in horsepower and torque - which bumps this car up in performance class - proves important when you realize you've jetted up on that slogging 18-wheeler just before the merge left sign and you need oomph to avoid his drift left. The bulk of the torque kicks in at around 1,700 rpm and climbs to peak at about 5,700 rpm. Plenty of shift/options and wiggle room there to flash past that big rig or even the safety-conscious family in the over-packed Volvo wagon. 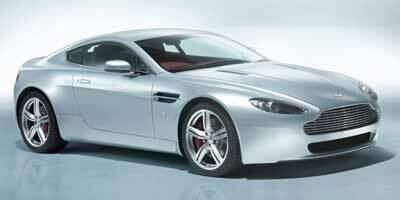 The Vantage’s hand-assembled 4.7-liter engine is all-alloy and remarkably responsive. As noted above, horsepower is up to 420 - a scream from the start - and torque has been boosted to 347 lb-ft. Part of the increase in power comes not only from an increased piston stroke but also bigger cylinder bore, the latter made possible by a thinner cylinder liner than could be used in the earlier 4.3-liter cast engine. The transmission offerings are also an interesting duality in driver choice and operation. We'd take the more visceral manual six-speed in a heartbeat over the optional Sportshift transmission simply for the direct driver input it allows. The Sportshift does have one nice advantage - comfort or sport modes to map shift patterns depending on driver desire. There is a button between the front seats that allows you to eject anyone in the passenger seat beside you. Just kidding. Options include the Coupe and Roadster variants and then a choice of the sports pack, which lowers unsprung mass, adds forged lightweight alloy wheels and specially tuned Bilstein dampers and upgrades spring rates along with a tougher rear anti-roll bar for the Coupe. The automatic transmission gets a dual throttle map with selectable Comfort and Sport modes, which adjust to driver intent and tendencies and can be manually shifted via paddles on the wheel. The Vantage folks are very excited about the “ECUâ€ – or Emotion Control Unit – a Freudian description of the key fob that has made its way down from the Aston Martin DBS. Made of glass, polished stainless steel and polycarbonate, it is a fine piece of art worthy of resting on the fireplace mantle at home. Push it in to run the car however, and it’s just another insert into a slot that you can’t see while it does its job. We dare not ask what it costs to replace one of them. The upgraded Navigation system is wizard-like in quickly re-routing after wrong turns, and iPod and MP3 player connections are standard. Don't expect much more than 20 miles per gallon - if you are lucky - in any of these variations. There are, as yet, no official figures, but some reports have placed the high teens as a likely final point. Fun? Yes. Expensive? Yes. Tight, double-stitched leathers are found throughout, even up the sides of the futuristic center control pod. A funky DBS-descended interior, with a flowing control stack from center dash to shift panel provides an overall elegance and gives the V8 Vantage an upper-crust feel. The only complaint is that that the center armrest blocks the elbow on hard, sudden shifts in the manual. There is a tough blind spot between the driver's seat and the outside right back pillar. At some points, entering from a stop or yield sign and checking behind, it was easiest to simply electronically scan with the passenger side outside mirror. This could be a case of missed opportunity. As Jaguar has done with its XK line, by making its lines more muscular, even steroidal, Aston Martin could have forsaken its somewhat knife-like lines and let scalpel yield to Bowie knife with more bulk to the fenders and wheel wells. But with its wide, slatted grille, reptilian headlamps, hood that seems to go on forever and insouciant flip of the wing on its very short rear, it is, and will remain, distinctive. In these times of high gas prices and questionable economies, high-end, high-performance sports cars still sell. In fact, the field is growing, with Nissan's new GT-R at $70,000 and climbing, supercharged Jags, Toyota at work on a supercar and Lotus making a comeback. Aston Martin has entered a field where niche pricing can be critical. Would you buy the Vantage at $136,000 over a 'Vette – or a Nissan GT-R starting at $70,000, a Porsche 911 Twin Turbo starting at $127,500 or the Audi R8 - base $110,000? Anyone considering the new V8 Vantage will have to carefully consider what kind of Vantage the mix of major options can give them. For instance, you don’t often see Vantages at the same weekend amateur club races where Porsches, ‘Vettes and soon GT-Rs will abound. It’s a somewhat different breed of car, which is why its specific package will have to be chosen carefully by particular enthusiasts. But in whatever form, this elegant, refined and plenty fast car does carry a panache that, alone, will attract buyers: “The name’s Martin, Aston Martinâ€ can still reverberate. And you can order yours shaken or stirred, depending on taste.